Luxurious handmade hair accessory with 14K gold plated B. 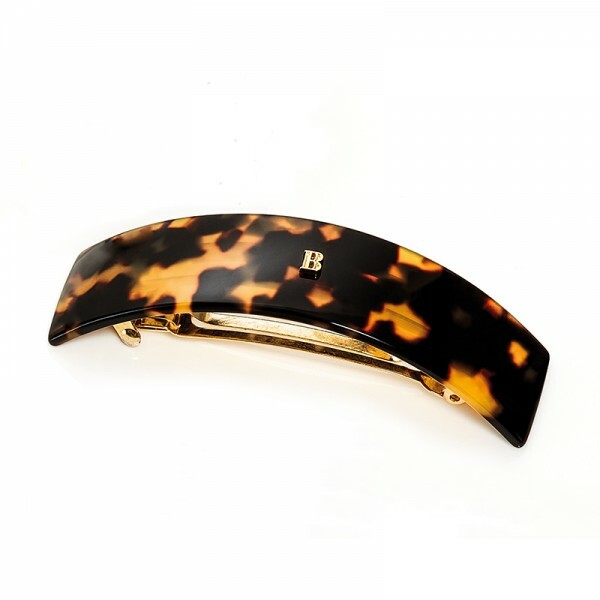 The Barrette pour Cheveux L Tortoise Shell, part of the iconic Les Accessoires collection, is suitable for any occasion and instantly adds a touch of class to every hairstyle. Features a genuine French clip.